On the stage at MLC. Certification is the process by which Settlement Music School recognizes and acknowledges student achievement and progress. Teachers use curricula that has received national accreditation for each instrument and is divided into levels from beginner to advanced. Each curriculum recommends appropriate technical and solo material. A consultation with your child’s teacher will determine whether your child is ready to participate during the spring each year. Students who receive financial aid and/or a scholarship from Settlement are required to participate in the Certification process each year, and Certification is encouraged for all students pending the approval of the student’s teacher. If a student is not selected by the teacher to participate in Certification, it does not mean the student is not progressing, but rather that he or she is not fully ready. What should my child expect at the audition? The Branch Director (and a few Branch Board members may attend as well) will ask the student to play technical and solo material listed by his/her teacher on the audition form. Should a student expect to certify at a new level every year? No. Settlement’s curricula is specific to each instrument and therefore, varies. Students are encouraged to participate despite not having completed a level and are encouraged to certify for “progress toward level.” Students who do complete a level will receive a Certificate of Achievement during the Certification Recital at the branch. Certification auditions are one way in which Settlement Music School acknowledges the progress and achievements of its students and teachers. 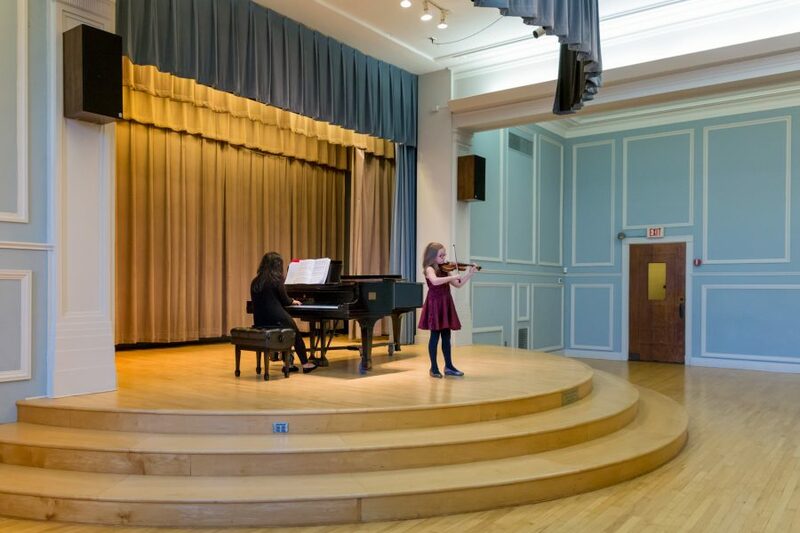 In addition to the important experience your child will receive by playing for the Branch Director, this is also an opportunity for the Branch Director to get to know the student better- to discuss practicing, areas of growth, and additional interests/opportunities that the student may have. Every year Settlement’s Branch Directors look forward to Certification, and they work very hard to ensure that it is a positive and rewarding experience for the students. You can participate by discussing appropriate goals for your children with their teachers throughout the year. It is important to set a realistic timetable for musical progress and to support your child’s practice every day.